I love Sephora's Beauty Insider program. You accumulate points with every purchase, and redeem them for awesome beauty product rewards like deluxe samples, and curated sets. It really can't get any better. I like to save my beauty insider points for items that really intrigue me, and when I saw that the L'OCCITANE Favorites set was up for grabs for 500 points, it wasn't difficult for me to hand over my points for it. 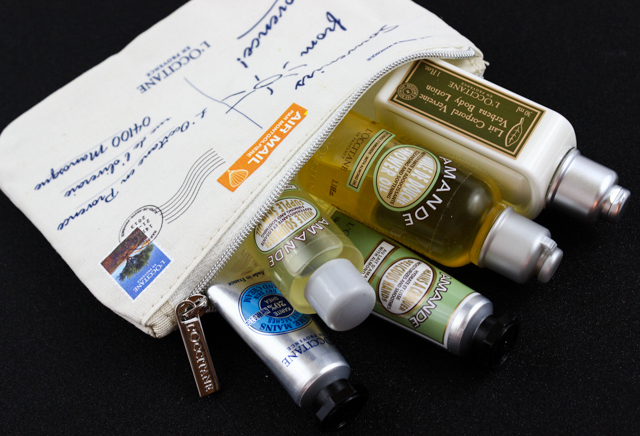 I have always wanted to explore L'OCCITANE's offerings, and this set-which features a couple travel mini sizes of L'OCCITANE's most raved about products, was the perfect way to do so. Verbena Body Lotion: If you are a fan of body lotions that have a citrus scent to them, this body lotion surely won't disappoint. It's infused with ingredients like verbena extract, orange, and lemon tree essential oils to help soften and soothe skin. This body lotion feels lightweight on the skin, and it moisturizes very well. Almond Firming And Softening Supple Skin Oil: This oil not only moisturizes and soften skin, it also contains firming properties which help protect the skin and restore elasticity. I like how fast the oil melts into my skin without leaving behind a greasy residue. And the almond scent is scrumptious. This oil is the perfect compliment to the Cleansing And Softening Shower Oil With Almond Oil. Cleansing And Softening Shower Oil With Almond Oil: This shower oil is a game changer. I have never used anything like it, but I am already hooked. When the oil comes into contact with water, it starts to foam up a create a thin lather that feels luxurious when I massage this into my skin. This shower oil doesn't strip my skin, and it's super moisturizing. I love the light almond fragrance in this, which lingers on the skin. Shea Butter Hand Cream: The infamous hand cream. So many love this, and I can see why. This hand cream is infused with 20% Shea for ultimate moisture. It has a thick texture that sinks into the skin quickly, it imparts a softness to my hands that prolongs all day, and it has a pleasant scent. Needless to say, my hands love this stuff. 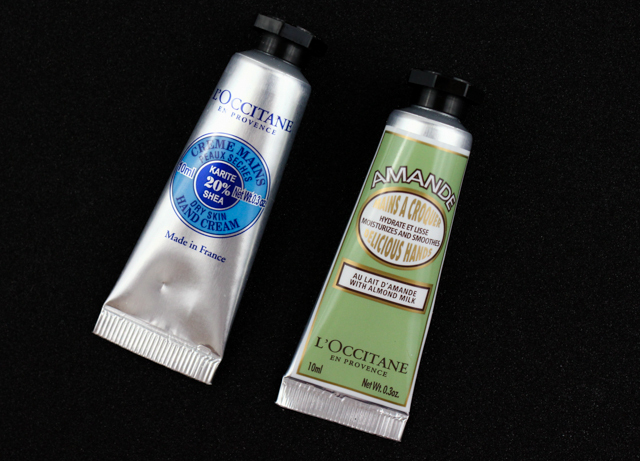 Almond Delicious Hands: This almond hand cream is just one of the many hand cream variations in L'OCCITANE's lineup. It has a thinner and lighter consistency than the Shea Butter one, and the fragrance is a bit stronger. But it is equally just as moisturizing. Also included in the set is an adorable zippered pouch, which has a postcard print on the front of it. The pouch is pretty sturdy, and it will totally come in handy for carrying essentials on the go. I couldn't be anymore pleased with the L'OCCITANE Favorites set. I am enamored with every single item-especially the almond shower oil and shea butter hand cream. There are definitely a few full size purchases to be made in the future. 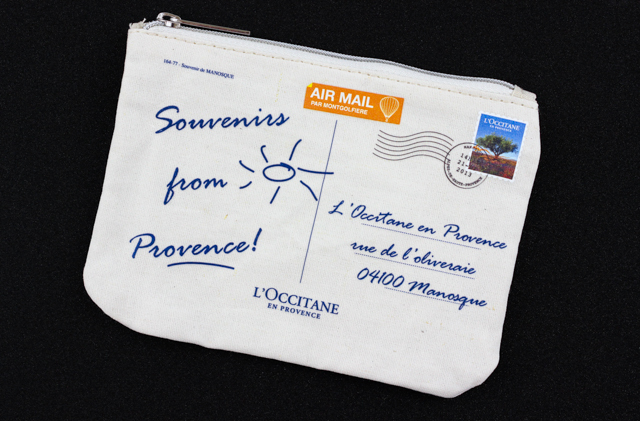 Will you be handing over your Sephora Beauty Insider points for the L'OCCITANE Favorites set? 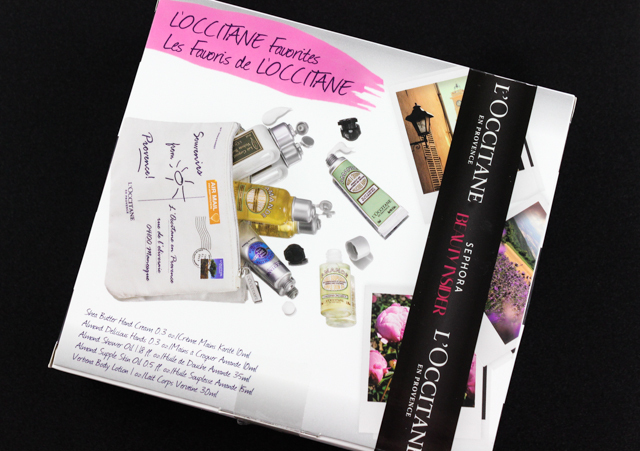 Which are your favorite L'OCCITANE products? I'm a huge L'occitane fan! I've never been disappointed with anything, My favourites have to be the shea & almond hand cream, almond oil, the verbena shower gel & the ultra rich face cream!